One of Latvian most outstanding contemporary neurosurgeon dr. med. Igors Aksiks was born before 60 years. He is well – known both as a perfect clinical specialist and as a bright man of science. He is continuously seeking for new ideas in the field of treatment and original methods connected to diseases of brain, spine and nerves. DR Aksiks became a pioneer improving and implementing in clinic different methods of micro neurosurgery treatment. His activities are popular in vascular operative technique and treatment of severe brain traumas and disorders not only in Latvia, but overseas also amongst specialists in neurology and neurosurgery. Seeking of original treatment methods became the most visible part of dr. Aksik’s activities since graduating his basic medical education and continued clinical practice in the country hospital. Some years later DR. Aksiks, being rather young specialist of Neurosurgery Center, had invented and implemented a method of small vessels hermetic connecting by means of biological adhesive. He had also considerably improved and widely put to use methods of micro vascular decompression into treatment of cranial nerves diseases. Operative navigation method considerably diminishing risks of brain traumas through neurosurgery manipulations was implemented under the guidance of DR. Aksiks during recent decade. DR. Aksiks had gradually involved a big amount of Latvian neurosurgeons both into clinical and scientific activities. He had organized workshops researching different aspects of main nerve diseases and treatment in various areas, such as neurology, oncology, vascular surgery, spinal surgery and stereo taxis. Results of said activities are being continually published both in national and international prestigious magazines, mostly in English. 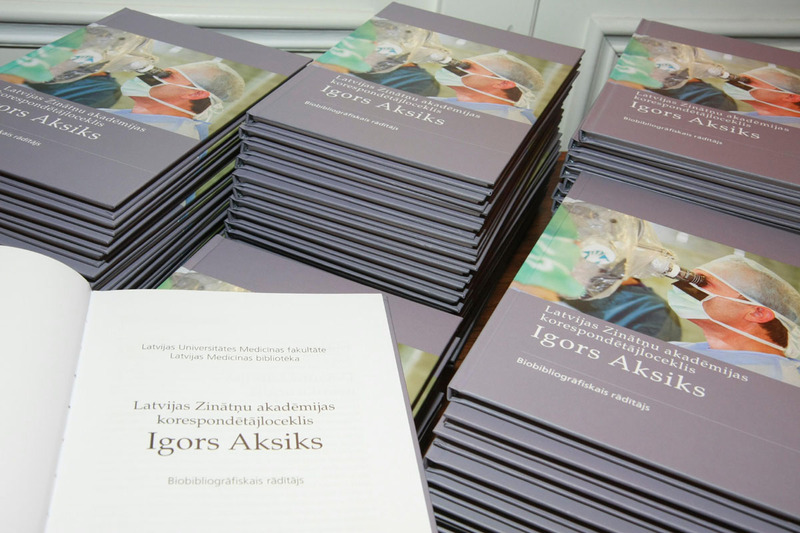 DR. Aksiks scientific researches and his clinical achievements were approved by scientific society of Latvia, so he was elected and became an associated professor of Latvian University, later getting a title of correspondent member at Latvian Academy of Science.